The valley of Malyovitsa is situated in the northwest parts of Rila Mountains – easily accessible from the capital Sofia, it is a good weekend, or even a day, destination. About an hour and a half drive via the town of Samokov and village of Govedartsi takes you at 1730 m. elevation where a small ski area is placed. There are a few ski runs and one of them is proud with, as the legends say, “the oldest drag lift on the Balkans” still operating – which makes it a marginal place for piste skiing. 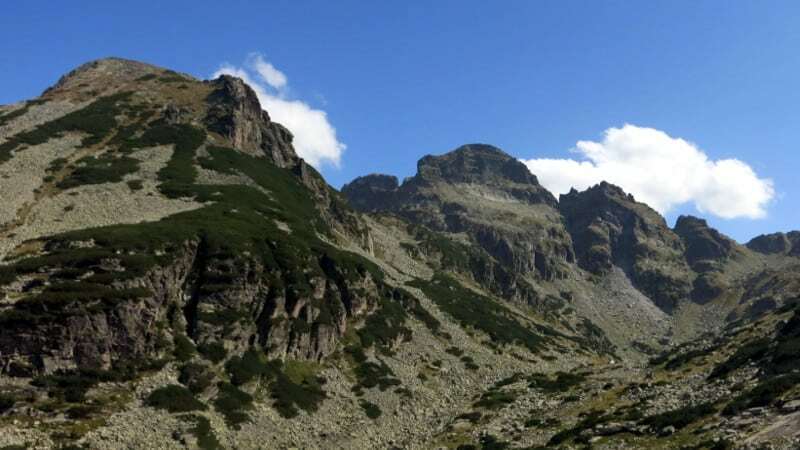 But the reason for most of the people to come here is higher up – where you enter the area of Rila National Park, the valley gets narrower and surrounded by an impressive peaks. About an hour away from the ski center and above the tree line is located Malyovitsa hut – the main base for hikers, climbers and skiers in this area. Dominating the view is mount Malyovitsa (2729 m.) – with its vertical north wall it it considered as a symbol of the Bulgarian alpinism. Not seen from the valley but not less impressive are the other high peaks in the area, including the highest – Golyam Kupen (2731 m.) The main hiking route goes to the top of Malyovitsa (average 2,5-3 hours up). Usually looking from the bottom one cannot believe that is possible to climb that steep mountain, but there is a normal hiking path that follows the valley and reaches the top from its south side. Along the valley what the glacier have done in the past is clearly seen – two glacial plateaux, called “terraces”, many moraines and a blue lake at about 2500 m. elevation. This is also recognisable in the sharp edges and steep walls of the rocky peaks around. There is numerous other options for hiking in the area – both for climbing the peaks around as well as just to enjoy the view of the beautiful lakes at their foot. One of the main routes goes east from the valley to a small shelter at the shore of the so called the Scary Lake, at about 2500 m. elevation. It is situated at the foot of Kupenite peaks and offers an amazing view to them. If you are fit it is also possible to hike for a day from Malyovitsa valley to the Seven Lakes area (another famous range in Northwest Rila) or to the Rila Monastery. Snowshoeing and off piste skiing are possible in winter, but with careful avalanche risk assessment and route selection. 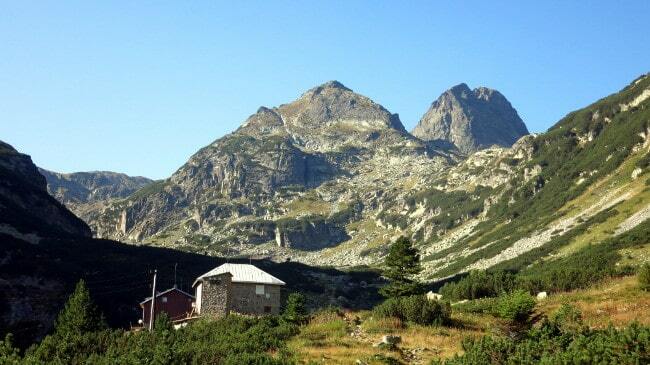 Malyovitsa valley is a popular climbing area that offers both bolted and traditional routes. Near the hut a via feratta (iron path) is built. It goes from the hut along the rocks to Kalbura ridge and is accessible for anyone with the proper equipment and knowledge how to use it – very basic climbing skills are required. What is the contact email of Malyovitsa Hut?